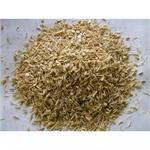 These Oats are grown and processed on our farm in Hertfordshire and make a suitable and safe feed for livestock. 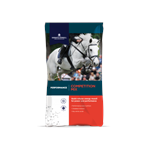 Competition Mix is the most popular formulation for serious competitors - providing your horse with fast release energy from our locally sourced cereals and oats. Choose RESPONSE SLOW RELEASE ENERGY for excitable horses that need both control and power. This provides quick-release energy for stuffy horses needing extra sparkle but plenty of slower release energy to last throughout the day. 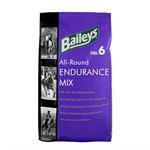 A non-heating, high fibre, high oil mix for strength, stamina and endurance in all disciplines. 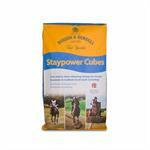 Staypower Cubes are ideal for working competition horses and ponies that need a high calorie, low starch diet or those horses and ponies that are prone to gastric ulcers. 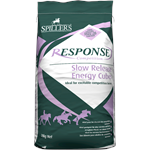 TopSpec Performance Cubes provide energy for work but are ‘Non-Heating’ and are ideal for horses that are a bit sharp or get fizzy on cereal-based competition mixes or cubes. 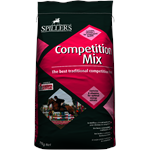 SPILLERS® Competition Mix is the perfect choice for all disciplines of competitive riding from Pony Club mounted games through to Eventing or hunting. 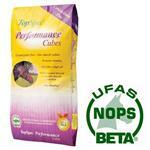 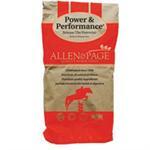 Nourishing the stamina of performance horses for sustainable success. 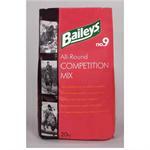 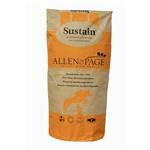 A highly digestible oat-based competition mix for horses and ponies in moderate to hard work.